Peace Day is Sept 21st Each Year is meant to be a day of global cease-fire, when all countries and all people stop all hostilities for the entire day. And it is a day on which people around the world observe a minute of silence at 12 noon local time. And let us pledge to do our utmost to carry out the important decisions on peace taken by last weeks 2005 World Summit. K.A. 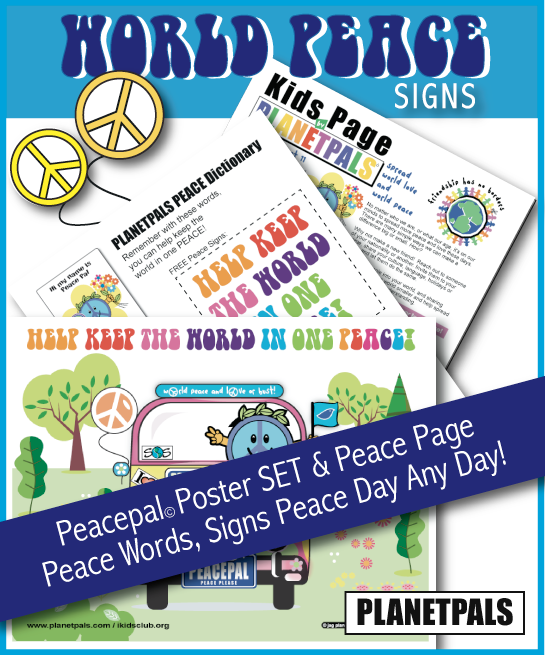 Organize a Peace Celebration at School or in Your Neighborhood! The International Day of Peace was first established in 1981 by a resolution 36/67 of the United Nations General Assembly to coincide with its opening session every September. In 2001 the resolution 55/282 was strengthened to make date September 21 the official date annually. It was voted unanimoiusly. 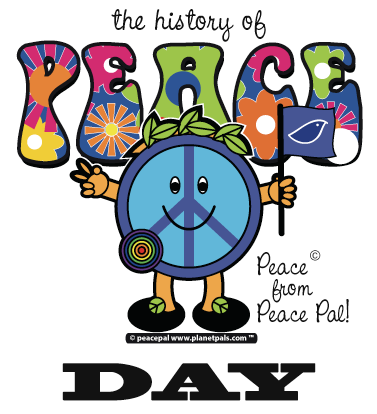 International peace Day is meant to be a day of nonviolence and cease-fire. Today, on International Peace Day there are many celebrations and peace marches to homor world peace in cities and countries worldwide. Secretary-General Kofi Annan has asked all United Nations departments and agencies to expand their observance, extending a special invitation to civil society and highlighting the Minute of Silence at 12 noon. The 2004 Peace Day marked the 50th anniversary of the Peace Bell.